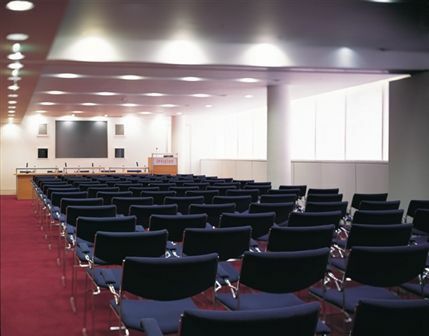 Hire this venue for your own event - it has 20 function rooms the largest of which can hold a maximum of 850 guests and the smallest is ideal for 6. 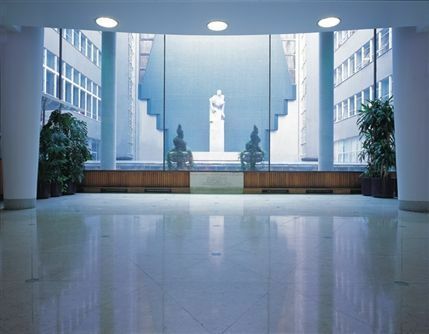 Based at Congress House, the headquarters of the Trades Union Congress, the Congress Centre offers several meeting and conference rooms for hire within an architecturally-renowned Grade II listed 1950s modernist building. 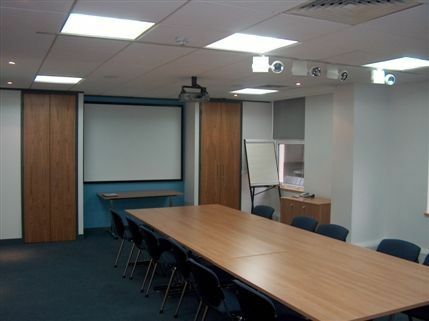 Having undergone a ?4.2 million refurbishment the centre is well equipped with plasma screens, digital sound and coloured LED lighting. 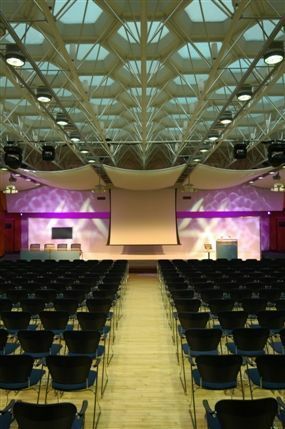 Located in the heart of the West End, the largest function suite at the centre is the modernised Congress Hall which can accommodate up to 500 theatre-style or 850 for a standing reception. 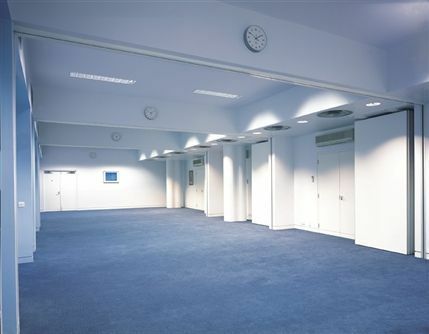 The Congress Suites are a series of rooms that can be adapted to create one, two, three or four separate rooms for 10 to 120 people. 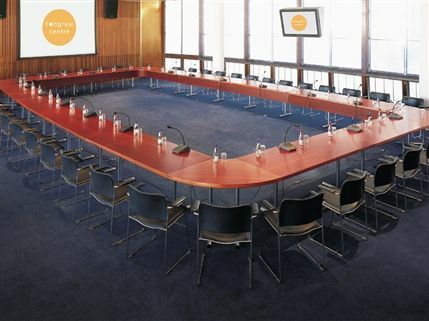 The Council Chamber seats up to 63 around a cherry-wood boardroom table, or up to 160 theatre-style when the table is removed. The 250-capacity flood-lit marble entrance hall makes a stunning venue for a drinks reception - with Jacob Epstein's Pieta sculpture, the TUC War Memorial, creating a beautiful backdrop when lit at night. 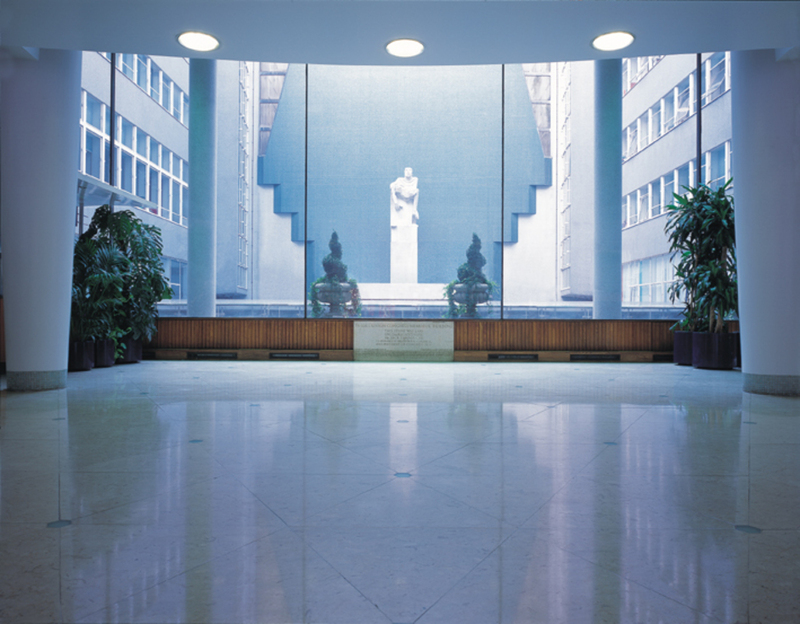 The plinth to the front of entrance of the building bears a bronze sculpture by Bernard Meadows. 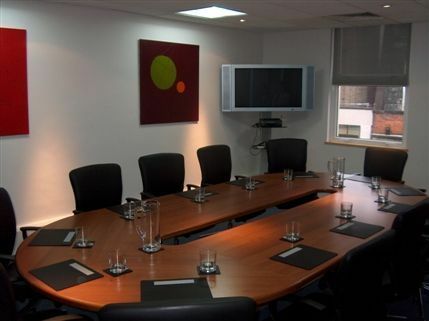 From cheap budget hotels to luxury 5 star hotels see our special offers for The Congress Centre hotels, including Crowne Plaza London Kensington from 68% off.